This evening I am going to do something I have rarely done in past 11 years. I am going to go outside and hope for a pretty sunset. Pretty sunsets generally require clouds. Clouds generally ruin astronomy. But tonight I don’t mind. After 11 years of (robotically) scanning the skies almost every single night looking for planets – or at least dwarf planets – I am done, as of last night. No more fretting when a cloud appears at night. No more getting up every morning to look outside to see if it might have been clear the previous night. No more looking at the weather forecast and only wondering how it will help or hinder the search for planets. From now on, I get to mainly be a nighttime civilian. It’s been a good 11 years. In fact, I think it is not too much of an exaggeration to say that these 11 years of scanning the skies have made a bit of astronomical history. So forgive me if I do a little reminiscing here. The sky-scanning has evolved greatly over the past 11 years. The very first version, started in July 1998, consisted of real people at the telescope taking real photographic plates (!) of the sky. Night after night, after our nightly pre-sunset strategizing discussions, Jean Mueller and Kevin Rykoski at Palomar Observatory would crawl out into the dark dome, load up photographic plates in the complete dark, expose them to the sky, develop them, check them, and do it all over again. When the photographic plates were finished we sent them to David Monet at the U.S. Naval Observatory in Flagstaff who digitized the photographic plates using an outrageously precise mega-scanner he had painstakingly develop just for these purposes. Finally I would get boxes and boxes of computer tapes, load them into my computer, and start searching. After three years of hard work, we had found, precisely, nothing. It was a lot of work to find nothing, too. And it was more fun than you could possibly imagine. The robotic telescope soon got a second generation camera (which, in the end, turned out to be worse than the first generation camera; such is the way of progress), Chad moved on to a new job in Hawaii (though he stayed an important collaborator in the ongoing search), and David Rabinowitz from Yale University (who had helped build the new camera) began working with us. From 2003 until 2005 we came closer and closer to the jackpot. First we found Sedna, about 2/3 the size of Pluto, well beyond the edge of the Kuiper belt, whose orbit is still unexplained. Next was Orcus, half the size of Pluto, whose orbit is a near-mirror-image to that of Pluto. Then, in one four month period, we found the big three: Haumea (3/4 the size of Pluto), Makemake (2/3 the size of Pluto), and Eris (5% bigger than Pluto!). That was the end of that major survey. We had finally covered as much sky as Clyde Tombaugh had 70 years earlier in the survey that led to the discovery of Pluto. But we weren’t finished. Since 2006 we have retooled again and started searching for more things out in the distant region where we found Sedna. To do it, we basically had to cover the sky all over again. So we did. Most of this survey was carried out by a new graduate student of mine, Meg Schwamb. And then, last night, it finished. The telescope is being fitted with a third generation digital camera which will, it is hoped, actually be better than the 1st and 2nd generation cameras. But that will be for someone else to find out. We have done pretty much everything that there is to be done from this telescope, so we decided to bow out of this new generation. I always try to give a slightly cagey response. I never want to give away what might be coming soon. But, now, finally, I can give you the final answer: No. That’s it. No more coming up. We have nothing up our sleeves (well, OK, we haven’t completed the analysis of last night’s data, so there is a miniscule chance that we happened to make a huge discover on the last night of our 11 year program, but that doesn’t seem so likely). Does that mean there is nothing more to be found? Not necessarily. We estimate that we were only ~70% efficient at finding things, so there are certain to be 1 or 2 big bright dwarf planets left to be found in the places we already looked. The most likely people to find them are a group running a new survey out of the University of Hawaii. Someday I expect that I will open my newspaper and read that they discovered something bigger than Eris, or more distant than Sedna, or something else that I’ve never thought of. They’re in for a fun ride. I’ll be the one cheering them on in the stands. I am going to enjoy my new nighttime civilian status. I am going to revel in those beautifully cloudy sunsets that used to make me feel so nervous. Well, I will enjoy it for at least for a few months. Starting next January my new student Michele Bannister is going to start a new project; she will be looking for new planets every night. But this time I won’t have the luxury of looking up at the sky to check the status. She’ll be doing it from Australia. The southern sky is the last pristine territory to search for dwarf planets. So, starting in 2009, if you see me on the street and start to casually chat about the weather, you might find that I haven’t noticed that, for example, it is raining on top of my head right now. I might instead tell you about how wonderful and clear the outlook is for the next week in southeastern Australia. Now that the IAU has officially declared the fifth dwarf planet (in order of size: Eris, Pluto, Makemake, Haumea, Ceres), we are likely in for a dry spell on new dwarf planets. The preliminary searches of the sky are all but complete, and (as far as I know) no one has any new objects the size of Haumea hiding in their back pockets. We'll probably be at five official dwarf planets for a while. 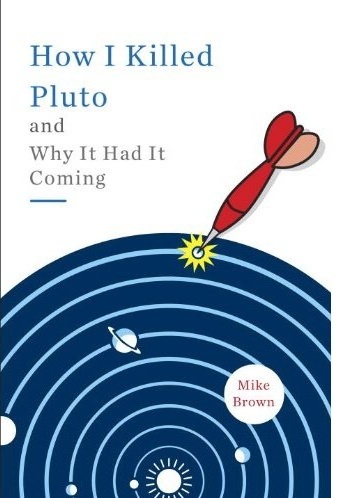 Now is a good time, then, to remind ourselves what a dwarf planet really is. When the final vote on the definition of "planet" was made, and the eight dominant bodies in the solar system were declared (quite rationally) a class separate from the others, a new class of objects was defined. The "dwarf planets" are all of those objects which are not one of the eight dominant bodies (Mercury through Neptune) yet still, at least in one way, resemble a planet. The best description I can come up with is that a dwarf planet is something that looks like a planet, but is not a planet. The official definition is that dwarf planets are bodies in the solar system which are large enough to become round due to their own gravitational attraction. Why do astronomers care about round? If you place a boulder in space it will just stay whatever irregular shape it is. If you add more boulders to it you can still have an irregular pile. But if you add enough boulders to the pile they will eventually pull themselves into a round shape. This transition from irregularly shaped to round objects is important in the solar system, and, in some ways, marks the transition from an object which is geologically dead and one which might have interesting processes worthy of study. So how many dwarf planets are there? Five, of course. The IAU says so. But let's ask the more scientifically interesting question: how many (non-planet) objects in the solar system are large enough to be round due to their own gravitational pull? Well, no. Here is where the IAU and reality part ways. There are many more objects that precisely fit the definition of dwarf planet but that the IAU chosen not to recognize. But if the category of dwarf planet is important, then it is the reality that is important, not the official list. So let's examine reality. So how many dwarf planets are there? Ceres is still the only asteroid that is known to be round. After that it gets complicated. All of the rest of the new dwarf planets are in the distant region of the Kuiper belt, where we can't actually see them well enough to know for sure if they are round or not. While we can't see most of the objects in the Kuiper belt well enough to determine whether they are round or not, we can estimate how big an object has to be before it becomes round and therefore how many objects in the Kuiper belt are likely round. In the asteroid belt Ceres, with a diameter of 900 km, is the only object large enough to be round, so somewhere around 900 km is a good cutoff for rocky bodies like asteroids. Kuiper belt objects have a lot of ice in their interiors, though. Ice is not as hard as rock, so it less easily withstands the force of gravity, and it takes less force to make an ice ball round. The best estimate for how big an icy body needs to be to become round comes from looking at icy satellites of the giant planets. The smallest body that is generally round is Saturn's satellite Mimas, which has a diameter of about 400 km. Several satellites which have diameters around 200 km are not round. So somewhere between 200 and 400 km an icy body becomes round. Objects with more ice will become round at smaller sizes while those with less rock might be bigger. We will take 400 km as a reasonable lower limit and assume that anything larger than 400 km in the Kuiper belt is round, and thus a dwarf planet. We might be a bit off in one direction or another, but 400 km seems like a good estimate. How many objects larger than 400 km are there in the Kuiper belt? We can't answer this question precisely, because we don't know the sizes of more than a handful of Kuiper belt objects, but, again, we can make a reasonable guess. If we assume that the typical small Kuiper belt object reflects 10% of the sunlight that hits its surface we know how bright a 400 km object would be in the Kuiper belt. As of now, about 50 objects this size or larger are known in the Kuiper belt (including, of course, Eris, Pluto, Makemake, and Haumea). Our best estimate is that a complete survey of the Kuiper belt would double this number, so there are roughly 100 dwarf planets in the Kuiper belt, of which 50 are currently known. The new dwarf planets in the solar system are very different from the previous 8 planets. Most are so small that they are smaller across than the distance from Los Angeles to San Francisco. They are so small that about 30,000 of them could fit inside the earth. Does it matter how many dwarf planets we say there are? I think the answer is "yes." If you believe that there are only 4 dwarf planets in the Kuiper belt then you place an oversized importance on those 4 objects and you get an exceedingly warped picture of what the outer solar is like. The important thing about the Kuiper belt is that beyond Neptune there are many many many objects with hundreds being large enough to be round. The four "IAU Dwarf Planets" in the outer solar system are all fascinating objects -- hey! I discovered 3 of them, I must think there are at least a little interest -- but it would be a gross exaggeration to think of them as the only objects, or even the only important objects, in the fascinating region of space beyond Neptune. On December 28th, 2004, I discovered a Kuiper belt object brighter than anything anyone had ever seen before. Being only a few days after Christmas, I naturally nicknamed it Santa. The discovery was bittersweet. I had made a bet with a friend 5 years earlier that someone – anyone! – would discover a new planet by January 1st, 2005. The deadline was in 3 days, but I knew that Santa didn’t count. We didn’t know exactly how to define “planet” back then, but we decided that something of a particular brightness would count. Santa was bright , but not quite bright enough. Three days later I had still not found anything bright enough to count, and I lost the bet. But, still: Santa! How would I have known back in 2004 that Santa would be the single most interesting object ever discovered in the Kuiper belt? It has a moon – wait, no, two moons! It is oblong, sort of like a football (American style) that has been deflated and stepped on. And it rotates end over end every 4 hours, significantly faster than anything else large known anywhere in the solar system. Large? Well, at least sort of large. The long axis is about the same size as Pluto or Eris or Makemake. Back when I thought that maybe the IAU was going to vote that anything the size of Pluto or larger was a planet I was going to argue that Santa was indeed a planet – as long as you looked at it at exactly the right angle (luckily, the IAU was much more sensible, so I did not have to make such a crazy argument). Stranger still, Santa has the density of a rock. We think that most things out in the Kuiper belt are about equal portions of rock and of ice, but, apparently, this does not apply to not Santa. It’s only rock. Except that even that is not true. When we finally got a chance to look closely at its surface with the Keck telescope we realized that the surface is nothing but ice. Santa must have a structure like an M&M, except that instead of a thin layer of sugar surrounding chocolate, the thin outer shell is ice and the interior is rock. Don’t bite. These characteristics already make Santa the strangest object in the Kuiper belt. Several years ago we came up with what thought was a good explanation. What if, eons ago, Santa was an even larger Kuiper belt object and it got smacked – in a glancing blow – by another Kuiper belt object? That would explain the fast spin. And the fast spin would be enough to explain the oblong shape; anything spinning that fast would be pulled into such a big stretch. What’s more, the initially large Santa could have had a rocky interior and icy exterior, much like the Earth has an iron interior and a rocky interior. When the huge impact occurred, it could have cracked that outer icy mantle and ejected all of that ice into space. The two moons that circle Santa are pieces of that icy mantle. This explanation was, we thought, pretty good. And then it got really good. While looking across the Kuiper belt at many different objects, we realized that a small number of objects in the Kuiper belt look like tiny little chunks of ice. How strange. Even stranger, though, was that all of these chunks of ice were, relatively speaking, next-door neighbors of Santa. We had found the other chunks that had been removed from the mantle of Santa. The story was complete. After we discovered Santa, we worked hard to get the first scientific paper ready to announce the discovery. In science there is always a tension between doing the careful work to make a complete announcement and doing an instant but incomplete announcement in order to make sure you don’t get scooped. We were as worried as anyone about being scooped, but we resisted the temptation for instant announcement. We felt that the science was too important. On July 7th 2005, as I was putting the finishing touches on the scientific paper, in hopes of submitting it the next day, I had a minor delay. My daughter was born. I had somehow convinced myself that there was no way that she would be born for another week. I was certain that I had more time. But I had no more time, no more time at all. I forgot about Santa and the rest of the Kuiper belt and turned my obsession from it to her. The announcement about Santa would have to wait, I was too busy sending out announcements about Lilah, instead. What difference would a few months make, really? The announcement did indeed wait, but only for 21 more days. On a late Thursday night, between changing diapers and filling bottles and descending ever more into sleep deprivation, I checked my email and saw the announcement of the discover of Santa myself. A previously unheard-of Spanish team had just discovered Santa a few days earlier. And they called it the tenth planet. No no no no no no no no! I was horrified. My discovery had just been scooped by a group who decided not to wait to learn more. They didn’t know any of the information about Santa that we did, in particular that it has a satellite and from the orbit of the satellite you could tell that it was only 1/3 the size of Pluto, and that it was definitely not the tenth planet. Worse, a few months earlier, we had actually discovered something that was bigger than Pluto. This was going to cause nothing but confusion. That night, on no sleep but much caffeine, I stayed up to finish the paper about Santa that I had put aside three weeks earlier. We would not get credit for discovery, which was painful enough, but at least we would quickly set the record straight about its size and importance. After I sent the paper off, I sent a quick email to congratulate the Spanish team on their discovery and I filled them in on everything that we knew so that they could answer questions from the press correctly. Finally I nodded off to sleep. I woke to a nightmare. In the intervening hours it appeared that someone had used the knowledge that we had been tracking Santa to start looking into what else we had been doing. Someone had traced where we had been pointing our telescopes for the past months. We had been pointing them at the object that would one day be called Eris – the object bigger than Pluto, the real tenth planet! That morning, the astronomical coordinates of Eris were posted to a public web page with discussions about what might be there that we had been watching. It was clear to me that as soon as the sun went down that night, anyone with a moderately large amateur telescope could point up in the sky at those coordinates and, the next day, claim they had discovered the 10th planet. After breakfast, I apologized to my wife; I would have to go in to work today for the first time in three weeks. I called my wife later in the day to apologize again. I was going to have an international press conference that afternoon and would she mind bringing me some nicer clothes? And a razor, perhaps? And more coffee. Definitely more coffee. That evening, the world learned that there were 10 planets. Haumea is the goddess of childbirth and fertility in Hawaiian mythology. Her many children sprang from different parts of her body. She takes many different forms and has experienced many different rebirths. As the goddess of the earth, she represents the element of stone. The name was chosen by David Rabinowitz of Yale University, one of the co-discoverers of Santa (along with me and Chad Trujillo of Gemini Observatory in Hawaii). He chose the name because Haumea is closely associated with stone, and Santa (as we knew it at the time) appeared to be made of nothing but rock. But the name is even better than that. Just like the Kuiper belt object Haumea is the central object in a cloud of Kuiper belt objects that are the pieces of it, the goddess Haumea is the mother of many other deities in Hawaiian mythology who are pieces pulled off of her body. Two of these pieces are Hi’iaka, the patron goddess of the big island of Hawaii, who was born from the mouth of Haumea, and Namaka, a water spirit, who was born from the body of Haumea. These names were chosen for the brighter outer moon and the fainter inner moon, respectively. Hi'iaka was born from the mouth of Haumea and carried by her sister Pele in egg form from their distant home to Hawaii. She danced the first Hula on the shores of Puna and is the patron goddess of the island of Hawaii and of hula dancers. Namaka is a water spirit in Hawaiian mythology. She was born from the body of Haumea and is the sister of Pele. When Pele sends her burning lava into the sea, Namaka cools the lava to become new land. But wait! Shouldn’t the official discoverer get to name the object? What of the Spanish team? Did they use this information to claim the discovery for themselves? As a scientist, my job is to examine the evidence and come up with the most plausible story. Here are some possibilities. It is impossible to disprove this story, claimed by the Spanish team: while looking through two-year-old data, they discovered Santa legitimately, and then, only hours later, accessed information about where our telescopes had been looking and were shocked (shocked!) to realize that the object they had just found was the same object that we had been tracking for months. Wanting to establish priority, they quickly announced, knowing essentially nothing about the object. Though this story cannot be disproved, it does not have much of an air of plausibility about it. Data that were two years old happened to get analyzed just hours before – whoops! – the team found out that someone else had found the same thing? Hmmmmm. Perhaps most damning, you would think that perhaps the Spanish team would be willing to admit this early on. Instead they appeared to attempt to hide the fact that they ever knew anything about our telescope pointings. Let’s try a more plausible explanation: the Spanish team found our telescope pointings, used that information to infer the existence of Santa, and assumed that no one would ever know they had not found it legitimately. No way to prove it, but the later hypothesis certainly sounds more plausible. To be fair, though, I don’t think there is any way to ever know the full extent of the truth, except on the off chance that someone on the Spanish team eventually spills the beans about what really happened. I keep waiting, but I don’t hold my breath. But wait, there’s more to ask! If the telescope pointings were – even if inadvertently – on a publicly accessible web site, was it wrong to look at them? The obvious answer is that there is nothing wrong with looking at information on any publicly accessible web site, just as there is nothing wrong with looking at books in a library. But the standards of scientific ethics are also clear: any information used from another source must be acknowledged and cited. One is not allowed to go to a library, find out about a discovery in a book, and then claim that discovery as your own with no mention of having read it in a book. One is not even allowed to first make a discovery and then go to the library and realize that someone else independently made the same discovery and then not acknowledge what you learned in the library. Such actions would be considered scientifically dishonesty. In the end, while we are likely to never know exactly what happened, it appears clear that the Spanish team was either dishonest or fraudulent. They have claimed the facts that merely make them dishonest. If I had to bet, though, I would bet for the later. Officially, the naming of Haumea does nothing to put to rest this three-year-old controversy. The committee that voted to accept the name has said that, while they will take the name proposed by our team rather than the name proposed by the Spanish team, they are not favoring one claim over the other. They will let posterity decide. OK, posterity, have at it. If I am no longer around to hear the news on the decision, that’s ok, you can tell my daughter Lilah instead. She will have been waiting, nearly precisely, her entire life. Remember my new paper that describes my interesting discoveries about Titan (see Your Saturday Newspaper)? submitted it to Science magazine a few weeks ago in the hopes that it will be published and some day make it to your Saturday newspaper. But it won't. It has been rejected. It was a kind rejection. They didn't say "we think you're paper is wrong." Just, "we don't find it of general enough interest to publish in our journal." Rejection is always hard. My first response was generic sputtering “wha.. wha… what?” and then disbelief “this can’t be!” and anger and dismissal “those idiots don’t even know what they are missing.” This sequence lasted about 7 seconds, and then I got over it. After about 1 minute I became excited. Why be excited about rejection from Science? Along with the publicity benefits of publishing a paper in somewhere like Science comes the hard part. You agree not to publicize or discuss the paper before the publish it. This process can take 6 months or longer. But having been rejected from Science, I quickly turned around and submitted the paper to a more specialized journal -- Geophysical Research Letters (aka GRL) -- which has no such restrictions, and then I went a step further and submitted it to an on-line electronic archive ( which means you can go read it right now! http://lanl.arxiv.org/abs/0809.1841 ). Scientists these days are increasingly speeding up the slow process of formal publication with an informal process of web publication. Such web publication has good and bad aspects to it. Good: instant. Bad: unreviewed. Anything that is published in a major journal has had one or two experts read it closely and suggest changes. My paper on Titan is currently undergoing this process at GRL, and, when the reviewers are done, I will modify and respond. But my paper is on the electronic archive for everyone to see before that even happens. Posting a paper on-line before it has been reviewed can lead to great embarrassment. What if the paper has fundamental flaws and needs to be withdrawn or rejected? What if the referees point out places where major changes need to take part? All of this is certainly possible, and should make any on-line submitted wary. But, for me, the benefits outweigh the risks. I am sufficiently confident in the accuracy of what I did that I am not worried about any of these major problems. While there is no doubt that the reviewers will suggest some improvements, I don’t believe the overall conclusions of the paper will change significantly. And I think the conclusions are sufficiently interesting that I relish the idea that people will begin to read the paper and think about the results now, rather than 6 months from now. So I submitted. And now, even better, I can talk about the discovery of lake-effect clouds on Titan. Earlier this summer, while looking through NASA’s on-line archives of images of Saturn’s satellite Titan taken from the Cassini mission, I began to notice a recurring pattern up near the north pole of the satellite. The north pole of Titan has been in the darkness throughout a long long winter (a full year on Titan takes 30 years; winter is almost a decade) and is just now emerging into some spring time daylight. As it began to emerge, I noticed what appeared to be tiny little clouds popping up and disappearing right over the pole. Titan is in some ways bizarre and exotic yet in some ways very earth-like. Both earth and Titan have mostly-nitrogen atmospheres; on both the surface pressure is about the same (the big difference on Titan: it lacks that minor contaminant – oxygen – that makes the earth a more interesting place….). Titan and earth are the only bodies in the solar system known to have large expanses of liquid at the surface. On Titan, though, the temperature is so low that water is frozen solid. The lakes of Titan are made, instead, of methane and ethane. If you could figure out a way to get a pipeline there, Titan’s lakes could supply all of our needed natural gas for years to come. On earth the liquid water is globally distributed. On Titan it appears that the liquid methane and ethane is confined to the poles. Finally, Titan and earth both have clouds in its atmosphere, and these clouds are made from the dominant liquid on the surface. On earth: water. On Titan: methane. Now, back to the little clouds I had seen popping up at the north pole during Titan’s early spring. These clouds surprised me; they appear to be cumulous clouds – like large thunder heads. On the earth we only get such clouds in hot, humid places. Arizona in August. Year-round in the tropics. Temperate latitudes during summer storms. How could such clouds possibly be up at the north pole just as winter is waning? It occurred to me that we do get winter cumulus-type clouds on the earth in at least one case: lake-effect clouds and storms. Lake-effect storms on the earth are those winter storms that blow across the Great Lakes, pick up moisture, and then proceed to dump many many feet of snow on places like Buffalo, New York. The effect occurs in many other places around the world. Or, I should say, they same effect occurs in many other places around the solar system. I believe this process is precisely what is causing the sporadic clouds at the north pole of Titan. Like everything else, Titan and earth have similarities and differences in their lake-effect clouds, too. On the earth, the formation of these clouds is greatly aided by the fact that deep lakes stay relative warm over the winter. So as cold air passes over these lakes the air both picks up humidity and a little heat. This heat causes the air to rise (like a hot air balloon) which, in turn, causes those cumuli and the subsequent snow. On Titan, a decade of polar winter means that none of the lakes retain any heat, so passing air only picks up humidity (methane humidity, in this case). Something else needs to help push the air higher to cause those cumuli. In the paper, we speculate that there might be mountains at the north pole that help, but really that is just a wild guess. Cold lakes won’t evaporate, so these clouds have only started to become active in the last few years as sunlight has started to every-so-slightly heat the lakes. Every time the lakes warm up just a bit, a huge dollop of evaporation occurs, which re-cools the lake, and we see a cumulus cloud pop up. The lake then has to wait for some more sunlight before it happens again. If our general story is correct – and I think it is – then as spring and then summer approaches at the north pole, the sunlight will increase dramatically, and the lake-effect clouds will start to go crazy. And we’ll be watching. The Cassini spacecraft is slated to continue flying past and taking pictures of Titan for several more years. And we might find more exciting things. And what will we do when we find exciting things? Well, in the end I will probably never learn my lesson. We’ll submit them to Science. Or we’ll submit them to Nature. And then we will have to wait for months to talk about them. And maybe they will get a paragraph in your Saturday paper. But, if we – and you – are lucky, we will instead be rejected, we’ll post to a freely available on-line archive, and everyone can hear early about the latest happenings on this bizarre satellite. Last weekend I had my first experience with the occult sciences. Last weekend I did my first occultation science. That’s what I meant. Occultations are interesting events that can be seen here on earth. They are like miniature total eclipses except that instead of the sun being blocked, it is a star. And instead of the moon doing the blocking it is something else, an asteroid, a planet, a Kuiper belt ice ball. You know an occultation is occurring when a star suddenly disappears and then reappears seconds to minutes later. Something dark must have moved in front of the star. Scientifically, occultations provide a unique glimpse at the dark object that is passing in front of the star. If you measure how long the star disappears and you know how fast the object was moving, you have just directly measured the size of the object. Or at least measured the size of the object across one line. To really measure the full size of the object you need more than one line. To do that, you station astronomers in something resembling a north-south string over the full expected size of the object. Everyone watches and carefully times the event, and then you combine all of the information to find out the real size and shape of the object. If you’re lucky, you might even detect that the star does not blink out, but fades out, instead. This fading shows the atmosphere of the object. If you’re even luckier, you might see a second disappearance of the star a little before or after the main event. You would have just discovered a moon of your object. The occultation last week was by a large Kuiper belt object. Kuiper belt objects are so far away and appear so small from our point of view that the probability of one of them covering up a star at any point in time is quite small. Astronomers carefully track these Kuiper belt objects and carefully measure positions of stars over and over in the hopes that one of them will be found to occult. Sometimes these predictions can be made months ahead of time and astronomers can prepare for the event. Sometimes, like for the one last week, no one knew for sure that the occultation would occur until a last set of careful measurements of the position of the star occurred a few weeks before. Suddenly it appeared that this occultation would be visible across much of North America and that the path would go over some of the major observatories: McDonald, Kitt Peak, Palomar, Lick. With only two weeks to prepare, though, it is tough to suddenly get a telescope. All of the large telescopes are fully scheduled months in advance, but there sometimes some observatories have smaller telescopes that can be made available at shorter notice if you know the right person. At Palomar, the right person to know if you want to observer on the brand-new 24-inch robotic telescope is me. I’ve been constructing this new telescope for an embarrassingly long time now, but it is almost finished and ready for real scientific observations. One of its major long-term projects is to monitor Saturn’s moon Titan for signs of major storm activity. But the telescope is still not quite ready yet; we hope to really have it finally commissioned by October. But when we heard that this occultation was potentially going to be visible from Palomar we decided it was worth going up and trying to use this little telescope even though it was not quite ready. We arrived Saturday afternoon for the Sunday occultation. Emily Schaller – my now former graduate student (who moved to Hawaii last week to begin a new position as a Postdoctoral Fellow at the Institute for Astronomy at the University of Hawaii) – and I left Pasadena at noon, stopped once for coffee, and arrived at Palomar Observatory at around 3pm. We went right to the small dome of the 24-inch telescope, unlocked the door, and peered inside a bit apprehensively. No one had even been in side for the past few months as we were waiting for the final control systems to be finished. We knew that there was a moderate chance that something would have broken over this time period and the telescope simply would not work. We knew that last winter the dome had leaked. What would we find? To our relief, everything looked fine. We plugged the telescope and the computer that controls it in and double checked that we could, at least, move things. We could! We set to work to get things going. We had brought some new software up on a laptop to control some important auxiliary functions. But we had forgotten to check if the laptop control ports were compatible with the telescopes, and, of course, they weren’t. We’d have to drive back down the mountain on Sunday to the electronics store and then pray we could get them to work on Sunday. But still, we could at least try to make sure we could do some basic things, like point to things in the sky. We did a few daytime pointing tests and, to our sudden horror, realized that the telescope did not move the way it was supposed to. When we said go north, it went south. East was west. Looking carefully through the software we eventually realized that someone the telescope was confused about who it was. It thought it was its [bigger] sister telescope in southern Arizona. Somehow the control software had been switched. The sister telescope had enough different parameters (like which way was east and west) to know that this would never work. Frustrated, we went to dinner with all of the other astronomers who were at Palomar for the evening, and we brainstormed about how we might fix things. By the end of dinner we had decided that no fix was possible; we needed the right software. We were in luck, though. Another of my graduate students was awake and looking at her email and realized what we needed and, more importantly, realized where we the software was. We copied it over tested things out, and realized that we were in business. Because the telescope was not actually ready to be used yet, we had to do some very low-tech things to get it to work right. First, we found nice bright Jupiter up in the sky. Then we used a hand paddle to get the telescope pointing in approximately the right direction. Then I stood up on a ladder, looking down the barrel of the telescope, trying as hard as I could to line up on Jupiter while Emily took continuous pictures with the telescope’s digital camera. We finally meandered around enough that we found it (it helps that Jupiter is so bright that when you get even moderately close to the right place you can see the glow off to one side). Once we were at Jupiter, the telescope was smart enough to know the rest of the sky, so we quickly pressed a few buttons and the telescope automatically slewed to where our occultation was going to be the next night. We weren’t sure how accurate the slew was going to be, but, to our surprise, the star that was going to be occulted was right there in the center just as it was supposed to be. This might work! We spent the next 2 hours pretending like it was Sunday night and doing exactly what we were going to do that night. Everything worked well except for the occasional problem we had when we forgot that one thing not quite finished yet on the telescope is the dome control software. We had to move the dome by hand to following the moving sky. Sometimes we forgot. We vowed to do better the next night. The next morning we woke up and drove down to San Diego to pick up some computer equipment. On the drive back up the mountain we looked up at the sky and groaned. Summer thunderstorm clouds had completely covered the sky while we were going. It was possible that they would abate as the sun went down, but they looked pretty bad. We got back up to the telescope, installed the new equipment, tested it, and realized, again to our thorough surprise, everything was going to work perfectly. Before dinner time, we finally stuck our heads out of the dome to see what the sky looked like. It was hopeless. The sky was 100% covered, and the possibility of observing at all that night seemed very very remote. We went to dinner in sour moods and lingered over our deserts longer than usual, knowing that looking outside was going to make matters worse. But we were wrong. When we finally forced ourselves to look, the sky was miraculously clear. Not a single cloud. I have no idea how it so thoroughly cleared itself in under 45 minutes. We ran back to the 24-inch, opened the dome (we had closed it, fearing thunderstorms! ), and waited for it to get dark enough to find Jupiter. As soon as it was visible in the twilight glare, we swung the telescope, pointed it up, and punched in the coordinates of the star. Again, on the screen, was just the right field. It looked pretty crummy though; everything seemed too faint. Ah! The dome! We turned the dome in the right direction and everything looked fine. Over the next hour other reports came in. Many observatories were clouded out, but a handful got good data. A quick comparison revealed that Palomar had, I think, been right down the center, giving the longest of all possible occultations. An even more careful look at the data revealed that the occultation was certainly not sudden; we had without a doubt detected an atmosphere around this Kuiper belt object. We went to sleep, exhausted but thrilled. Heading back we realized that the sky was 100% covered in clouds again. We had just snuck in some clear skies at the right time. Enough people had collected good data that useful information would come out of these observations. We would get a nice measurement of the atmosphere and whether or not it has changed recently. Looking at the atmosphere was one of the main hopes of the observations. The Kuiper belt object is currently receding from the sun and many astronomers suspect that its atmosphere will soon freeze out. Of course, only the very largest few Kuiper belt objects even have atmospheres, but this one has been known to have had an atmosphere for a while. The Kuiper belt object we were studying was Pluto.